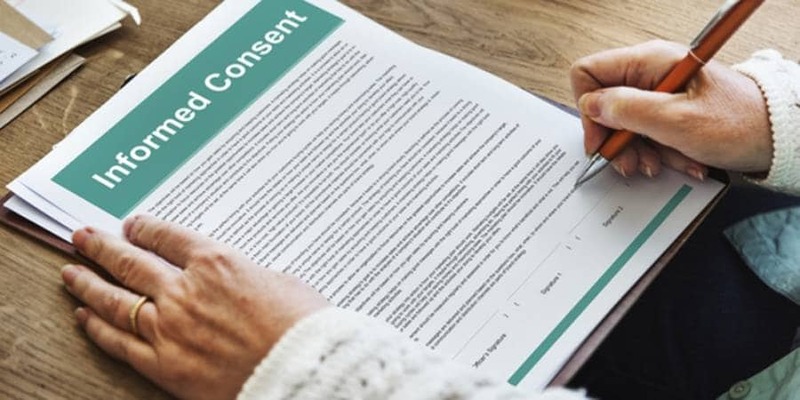 The outcome of the recent Supreme Court of Appeal case of Beukes vs Smith highlights the importance of maintaining proper records of consultations, including explanations, discussions and advice that lead to informed consent. Keeping record not only protects the patient, it also protects the practitioner and may well avoid the risk of becoming embroiled in costly and lengthy 'he said - she said' debates. Dr Smith performed a laparoscopic hernia repair on Mrs Beukes. She sued him for damages alleging that he had negligently failed to provide her with sufficient information so as to enable her to give informed consent for the surgery. Dr Smith’s alleged failure was to inform her that the hernia repair could have been done by way of a laparotomy procedure. His failure caused her to give uninformed consent to the laparoscopy during which her colon was perforated and as a consequence of which she suffered complications and damages. Against the backdrop of the surgery lay Mrs Beukes’ medical risk. She was a high-risk patient, which meant that because of her health, lifestyle and medical history the risk of her suffering complications related to surgery was high. After having consulted the referring doctor’s report and radiological reports, Dr Smith’s recommendation was that the laparoscopy would be the best option for Mrs Beukes in the circumstances. Dr Smith wrote a detailed motivation for approval for the laparoscopy to Mrs Beukes’ medical aid in which the reason for his recommendation for the laparoscopy was stated and the general and specific advantages of the surgery were listed. Dr Smith performed the laparoscopy on 23 February 2012. Mrs Beukes was discharged from hospital on 28 February 2012. Three days post-discharge, Mrs Beukes was re-admitted to hospital with various complications associated with a perforation of her colon, which included sepsis. She underwent three further surgical procedures and remained in hospital until 19 April 2012. Mrs Beukes, on the other hand, denied that Dr Smith had explained both procedures to her. She insisted that, in her first consultation with Dr Smith on 21 February 2012, he told her that he would first consult with the radiologists on her scans and thereafter perform a “quick ……. 15 to 20 minute operation” to repair her hernia with a mesh and in “two or three days” she would be home. On her version, Dr Smith made the decision to do the laparoscopic hernia repair during the first consultation on 21 February 2012 before having consulted the radiologists. She also denied having signed the written consent. She testified that had she been informed that the hernia could also have been repaired through a laparotomy, she would have discussed her options with her family and would have opted for the less risky of the two procedures, but she trusted Dr Smith and believed him when he told her that the laparoscopy was a simple procedure that would take 15 to 20 minutes and that she would be discharged from hospital in three days. The specialist surgeons who gave expert testimony on behalf of Mrs Beukes and Dr Smith agreed that Mrs Beukes was a high-risk patient, that under the circumstances, the laparoscopy was the better option, Dr Smith had performed the procedure without negligence, and that Dr Smith’s post-operative management of Mrs Beukes was acceptable. At the heart of Mrs Beukes’ contentions was the fact that there was no written recordal of the details of the informed consent discussion. It was not disputed that no record had been made of the content of Dr Smith’s explanation to Mrs Beukes. Mrs Beukes’ version was that, in the absence of evidence on the detail of her consultation with Dr Smith, the court had to conclude that Dr Smith had not given Mrs Beukes the necessary information as he alleged and further, even if he had given her some information, it was not sufficient to enable her to make an informed decision. Dr Smith’s evidence was entirely reliant on his memory of what had transpired over the relevant period. However, as found by the trial court, several aspects supported his version such as his demeanour and diligence, which were more consistent with his version that all had been sufficiently explained. Added to this were the medical records, which also supported his version as opposed to that tendered by Mrs Beukes. Mrs Beukes’ version was inconsistent with Dr Smith’s undisputed caring and diligent nature. The medical records suggested that there had been a more substantive discussion between her and Dr Smith than she was willing to admit. The written representations made by Dr Smith to Mrs Beukes’ medical aid after his consultation with her the morning before the laparoscopy were consistent with his version and revealed that the material risks and benefits of the medical procedures occupied his mind. Nothing in the medical records contradicted Dr Smith’s evidence. Unfortunately for Dr Smith, as it would appear from what was stated in the judgment, he was subjected to lengthy cross-examination from which he might have been spared had there been a written record or other recordal of his explanation, discussion and advice leading to the informed consent. That is aside from the cost of the litigation to Dr Smith and by cost, I don’t just mean legal costs. Litigation is stressful and takes one out of one’s day-to-day professional practice. It comes with a high personal and economic price tag. Keeping record not only protects the patient, which is primary. It also protects the practitioner and may well avoid the risk of becoming embroiled in costly and lengthy ‘he said – she said’ debates.